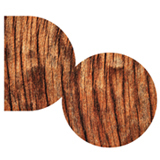 Dust Science Recording is an electronic label operating deep inside their lab in South Yorkshire, Sheffield (UK). Dust Science is bringing electronic soul music back to its spiritual home of Sheffield, building on the foundations laid by its forefathers Cabaret Voltaire and The Human League. Dust Science casts nods of acknowledgement to these torch bearers via a casual wink to the techno legends located throughout the decades to the present day in the underground outposts of North America and Berlin.